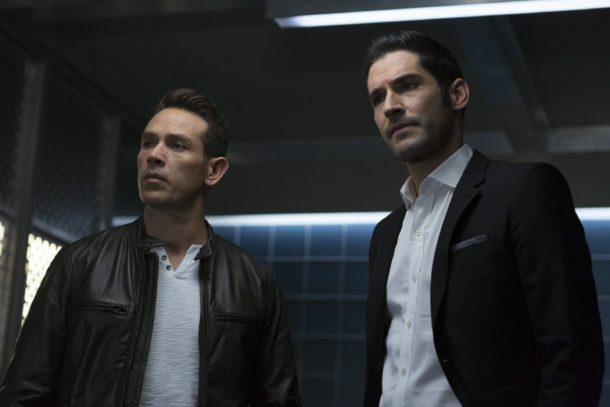 LUCIFER: L-R: Kevin Alejandro and Tom Ellis in the ÒStewardess InterruptusÓ episode of LUCIFER airing Monday, Jan. 16 (9:01-10:00 PM ET/PT) on FOX. ©2017 Fox Broadcasting Co. Cr: Michael Courtney/FOX. Tonight at 9/8c on FOX, don’t miss an all-new episode of Lucifer.